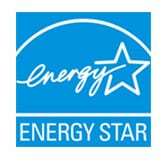 Every home appliance needs to be taken care of for optimum performance and longevity. Some home appliances require little maintenance, while others can be more demanding. A portable air conditioner falls into the second group. 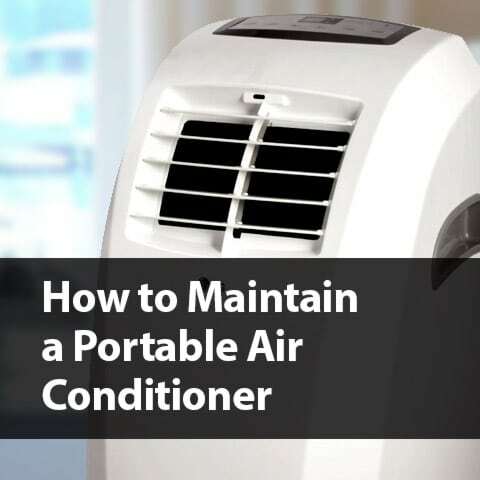 If you don’t know how to maintain a portable air conditioner properly, it can have a plethora of problems that happen sooner rather than later. Preventive repairs and holistic maintenance is better than reactive repairs and replacements. Proper maintenance is a great way to save money in the long run because the unit will operate efficiently and consume less energy. It will also let you enjoy a much more comfortable and cool interior during the hot and humid months without the fear of the unit breaking down. To keep your device in tip top condition, here are a few portable air conditioner maintenance tips that can help you ensure that it lasts for years to come. The exterior of a portable air conditioner should be cleaned routinely. The dirtier the outside looks is often indicative to how filthy the interior components have become too. Whenever you clean the room or the furniture and other fixtures, use a damp cloth to clean the exterior case of the unit. Do not use any detergent or special liquids, since these things can potentially stain the exterior casing and/or act as magnets for future dirt and debris. Perhaps the most important tip for how to maintain a portable air conditioner is in regards to the filters. In many ways, the filters are the lifeblood of an air conditioner and have a substantial impact on your cooling experience. These elements may not be as expensive as the compressor and may not pay as instrumental a role in cooling as the refrigerant, but they will determine the quality of air that the unit circulates inside the room. 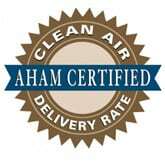 Whenever you buy filters for your air conditioner, read the instructions regarding cleaning and caring for them. Some products use washable filters, while others require throw-away replacements. If your filter cannot be washed and it needs to be replaced then make sure you get the correct model number as referenced in portable AC unit’s manual. Washable filters, on the other hand, can be used over and over again with a little maintenance. After removing this type of filter from the device, immerse it in warm water with a mild detergent and then rinse thoroughly. Use a soft brush to get rid of clingy dirt and dust, then let it air dry. After the filter is dry, reinstall it. These days, many portable air conditioners also include a pre-filter to trap larger dust and particles from entering into the unit. The pre-filter’s main purpose is to extend the life of the internal air filters. Clean the pre-filter routinely, at least once every other week. Just like when cleaning the exterior of the unit, do not use any cleaning agents or detergents to clean the pre-filter. These things can often leave a residue that causes more dirt and debris to build up, thus rendering the pre-filter less effective. When we are going over portable air conditioner maintenance, a crucial aspect of this task is ensuring there are no elements impairing the operation or functioning of a part. While filters are not very expensive to replaced, condenser coils are very costly and take the skill of a professional technician. Therefore, it is important that pay attention to the maintenance of this part. Condenser coils get dirty over time with a build of grease and grime. Routinely check this item for gunk and use a coil cleaner solution (available at most hardware stores) to get rid of it. Just a little bit of proactive maintenance with the condenser coil can save you a lot of money and headaches in the future. If your condenser coils do ever need to be replaced, you may be better off just buying a new unit. If this is the case, check out our complete buying guide for portable AC units to find the right one. Every portable air conditioner has an exhaust hose. This is how it expels hot air from the room. While that fact is obvious, most people don’t realize that this hose is supposed to be as short and straight as possible in order maximize its efficiency. When many people see that the hose can be stretched and bent, they come up with all sorts of ways to push these elements to the limit. Using the exhaust hose at its longest limit, and creating any kinks or bends in it can cause the portable AC unit to operate less efficiently and reduce the amount of cooling it provides inside a room. An exhaust hose also needs to be as short and as straight as possible to avoid moisture buildup. If too much moisture gathers inside the exhaust hose, there is a chance of the moisture tricking back to the actual unit and that will lead to problems. It takes only a few moments to check if the exhaust hose is short and straight as it should be. If not, fix this issue immediately. Many people are drawn to these types of air conditioners because of their portability. These units can be moved around, from one room to another, and in some cases from one property to another. Unfortunately, what makes portable air conditioners so attractive is also what can lead to long term operating problems. Often, when a portable AC unit is moved around a lot there is not a lot of thought put into the location of where it is being used. It is very important that you do not place the unit in dusty or dirty rooms. The build up and collection of airborne particles and debris can damage the internal parts, causing it not to function properly. If a room is dusty or dirty, clean it first before turning the unit on. Also, do not place the portable air conditioner close to anything that will contribute to moisture buildup. Such is the case in very humid rooms. If you must use it in a humid area, inspect the drainage pan more frequently. You will most likely have to drain it more often because of the excess moisture it collects. This is one of those portable air conditioner maintenance tips that seems obvious, but is often ignored by many homeowners. When you are not using a portable air conditioner for an extended amount of time (i.e. over the winter), do not just leave it standing next to the window. Pack it up and store it in a location that is away from direct sunlight and doesn’t have a large fluctuation in ambient temperature. Leaving your portable AC unit where it is installed, but not running, can cause it to collect moisture from the temperature changes, as well as dust and dirt that comes from the room. Both of these conditions can damage the internal working parts without you knowing it. A good way to ensure that your unit doesn’t have any moisture trapped inside before storing it is to turn it on and run it on fan mode. Then, increase the fan speed to its maximum level and let it run for an hour or two. That processes will get rid of any moisture that might still be trapped inside. To store the device properly, wrap it in a plastic sheet that is large enough to cover it. Keep the portable air conditioner in a dry and reasonably cool place. A good spot is a storage closet or other location that is on the same level where you spend most of your time indoors. This level is usually kept at a comfortable living temperature, which is great for storing your portable air conditioner. If you have an HVAC system in your home and there comes a time when you have it professionally serviced, don’t forget to ask the technician to take a look at your portable air conditioner too. While the maintenance tips in this guide are great tools to use to keep your unit running smoothly, some problems may pop up that only an experienced professional can spot and fix. A quick inspection by a technician for anything out of the ordinary could save you expensive repair costs in the future.